No ship should be without Tabasco sauce. Experience is said to be the name men give to their mistakes and of the experience I gained in Spitzbergen that may well be true. The circumnavigation of Spitzbergen is the first of three voyages described in HW ‘Bill’ Tilman’s fifteenth and final book, a remarkable example of his ability to triumph when supported by a crew game for all challenges. The 1974 voyage of the pilot cutter Baroque takes Tilman to his furthest north; the highest latitude of any of his travels in the northern or southern hemisphere. The account of this achievement makes compelling reading, the crew pulling together to avert potential disaster from a navigational misjudgement. Tilman set a high standard and led by example; where his companions rose to the challenge, as they did in the majority of his expeditions, the results were often remarkable. 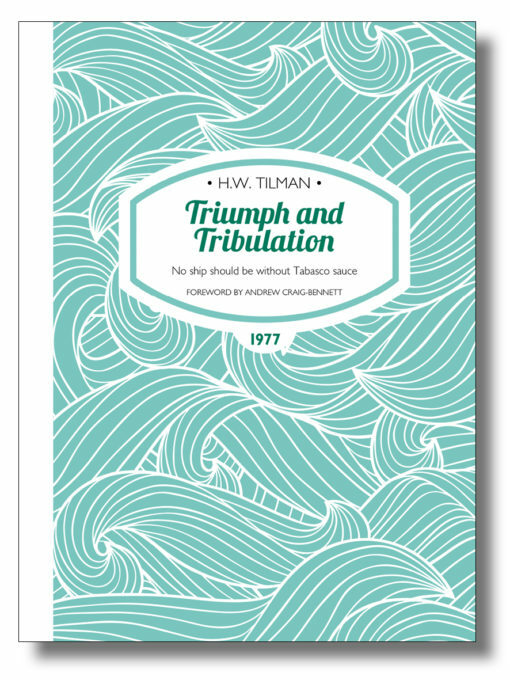 Triumph and Tribulation closes this newly extended edition of his literary legacy; a fine testament to a remarkable life. ISBN 978-1-909461-42-0; 216 x 156mm, 202 pages, photos, maps. Softcover with sewn binding, cover flaps and matt lamination.